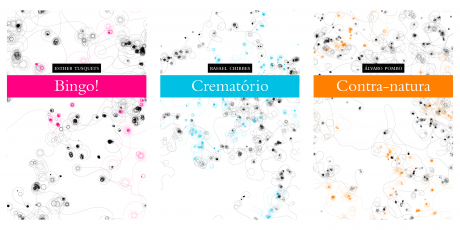 When designing book covers, there is often recurrence to abstract patterns that ought to provide a graphic identity to the text. 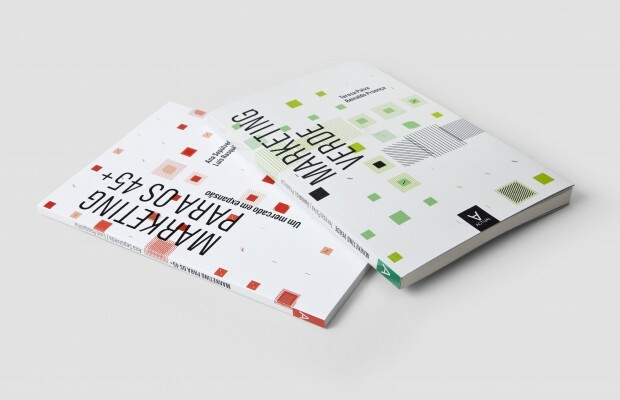 We thought that in these contexts deriving such graphic patterns from the actual book’s content could come as natural when providing abstract illustrations that are semantically or structurally connected with its content, and thus could be used as its cover. Therefore, we developed a tool that helps designers build visual artifacts to use in book covers design. The tool parses the text and exhibits its most frequents words, enabling the designer to choose which words to visualize by also choosing from more than a dozen of visualization models. The tool can map occurrences of selected words across the whole text. For instance, taking Tolstoy’s War and Peace, we can map Pierre Bezukhov, Natasha Rostov, Andrei Bolkonsky (in shades of blue) and Napoleon Bonaparte, Tsar Alexander I (in shades of red). 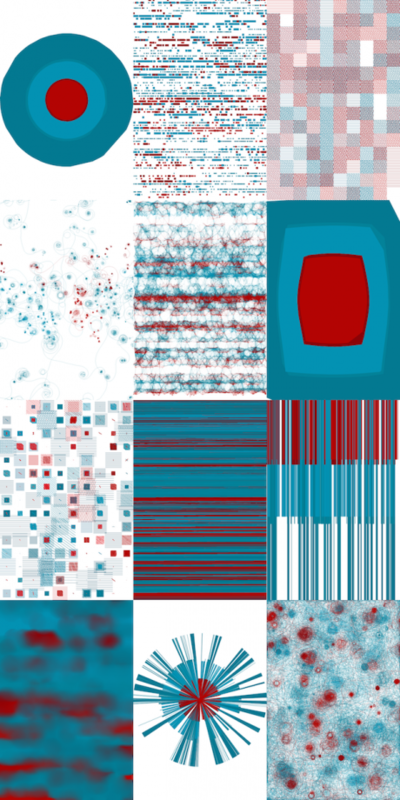 The resulting patterns illustrate the occurrences of the selected words within the text, using one of several visualization models. Each model has its own varying parameters that can create drastically different results. 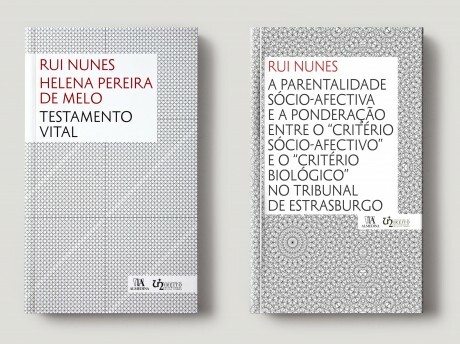 In order to illustrate the applicability of such artifacts we made some experiences based on Ana Boavida/FBA.’s designs for Minotauro collection of latin-american writers. In the following examples we used the same visualization model where we selected the main characters in the book, but only coloring the protagonists. Realizing that such process could work, we waved for projects in which this strategy could make sense. 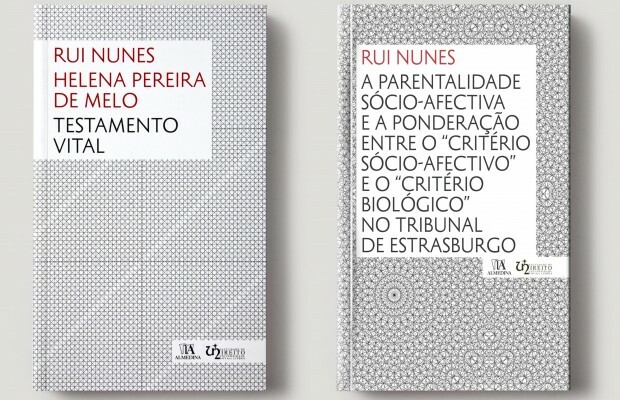 The first real results are a growing collection about marketing, with the book covers being designed by Rita Marquito/FBA. using this tool. What is interesting about this tool is that it is flexible enough to allow the designer to develop different forms of expression. Ana Boavida/FBA. did this in an unexpected way. For the next collection of law books, she parameterized one visualization model in such a way that generated data immune patterns. Those patterns, in spite of giving great book covers, expunge the data nature from the artifacts and defeat the sole purpose of this approach. We deemed two roles for these data book artifacts: (i) form for content; (ii) form for the hidden function. Eventually Ana chose form for form. In collaboration with FBA. Photographs by Daniel Santos/FBA.